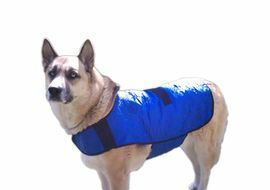 » Dogs don't have sweat glands on body and can't perspire like human so this dog cooling coat lowers body temperature when it is hot out side doggie stays cool with this coat. 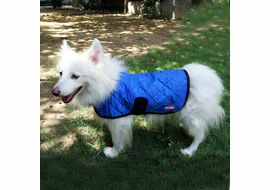 » Hot days and humid weather in the summer are not only uncomfortable for humans but for our pets too. 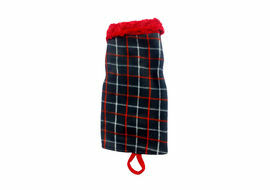 » Under such extreme conditions, dogs can be just as susceptible as people to heat exhaustion and dehydration. 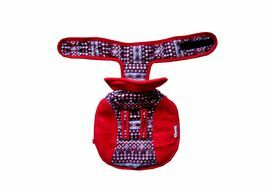 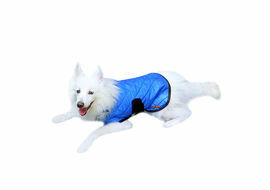 » Hydro-Kyle Dog coat keeps your dog cool & protects vital organs (Heart, Kidney , Liver & Lungs) from heat stress. 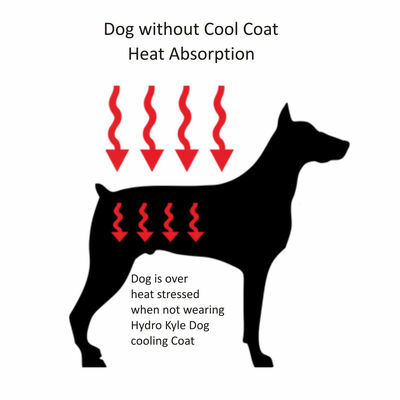 Simply submerse the Dog cooling coat in water for 2 to 5 minutes, or until garment reaches the desired level of hydration. 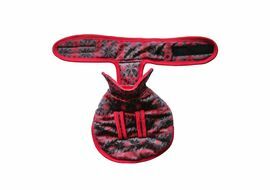 Gently wring out excess water and it's ready to wear! 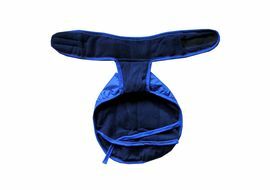 No freezers or cold packs are required.